Sunday was a sleepy, lazy day. I spent most of the weekend slumped in my chair, wallowing in extreme laziness. I barely wrote anything. I sat over draft after draft and left the pages empty. If Saturday had not had my adventure in being ransomed I would have gone postless all weekend. Not that I do not have ideas. The drafts I've created will filter out over the next week I suspect. I had ideas but no motivation. 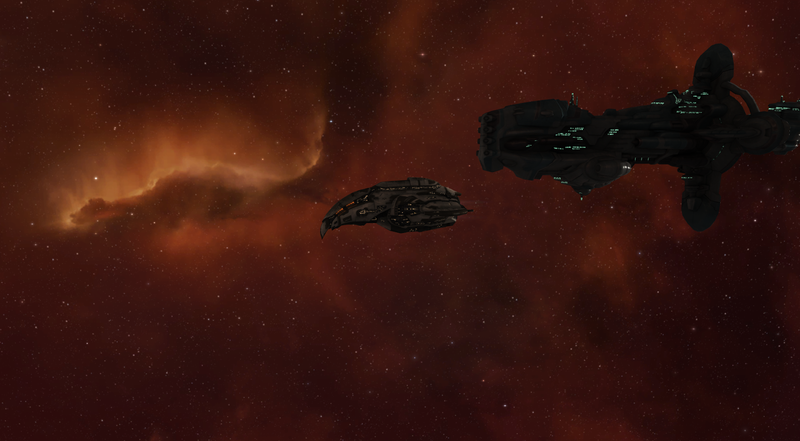 Instead, I spent Sunday floating around space, participating in various fleets for various objectives. I flew a battleship out into glorious battle. I can't say that I am in love with it. Its slow. I hate slow ships. I'll save them for when they are called for. I felt really useful as well, until someone called for an Oracle fleet. Sigh. Its a lose, lose battle still to be able to join all the fleets. Later, for a change of pace I flew a Cynabal into glorious battle. I fucked up and died. But I learned a lot about the ship. I like it a lot more than I have. This is why I have a stack of them in station. I may finally be figuring out what I like. After that, I flew a Prophecy. Naoru helped me with some fits a few days ago and I finally have armor battlecruisers again. I tend to dislike armor ships. They are slow and clumsy and I get frustrated flying them. But, the Prophecy is so plump that its just okay that it is so slow and fat. 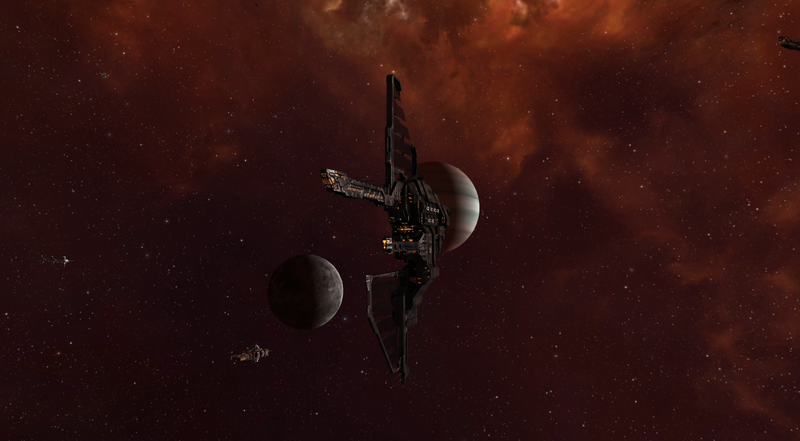 I also learned that it is very, very small next to a Hyperion. I stared into the swirling beauty of a cynosural field. They are amazing things, these little portals of energy. And so important to the functioning of Eve. Jumping in my supplies for TCS has made life much more fluid. I'm halfway through the third book in a Song of Ice and Fire (aka the books for Game of Thrones). I read them back in the early 2000's but I've been reading them as I play Eve so that I understand what everyone is going on about in chat. Its helped. And, I started planning out Eve Vegas in October. I purchased my tickets back in January. I don't know if anyone that I know is going. 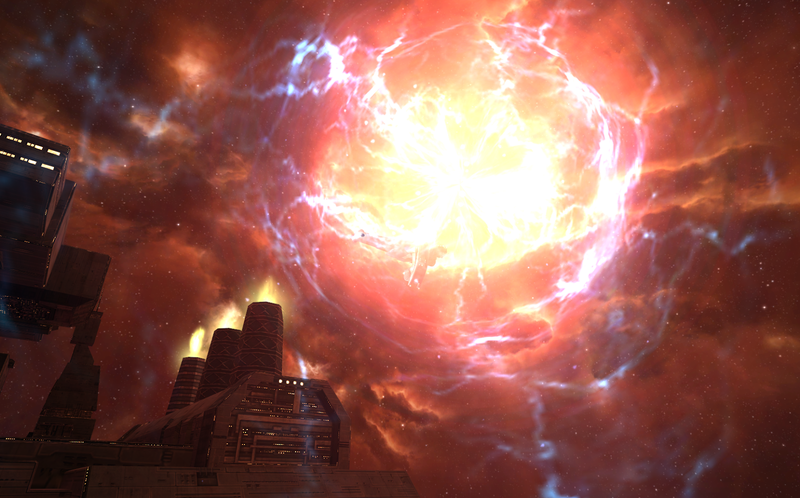 That has not yet been a prerequisite for me to go to Eve events. At some point I downloaded Star Wars the Old Republic but I have not yet tried it. I've lived and died and won and lost this weekend. Its been interesting and productive. I've missed fleets and think that as my cough heals from my cold I will step up my sociability a bit more and pull out of this alone spell that I have been huddled in for the bulk of this month. Even my old guildies gave up on it. It's just WoW in space sadly. See if you like it, but I wouldn't spend a dime on the game itself unless you want to check out the features of the subscriber master race, which are pretty numerous over free to play. 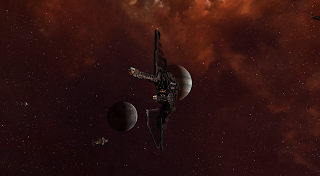 I would not say that our logisticless fleet was a similar comp when you had 3 scythes on the field. :) But we where there to take the fight, be it as it may. It is why we play, after all. Thank you for undocking and bringing it to us.